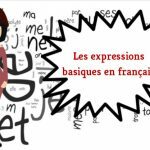 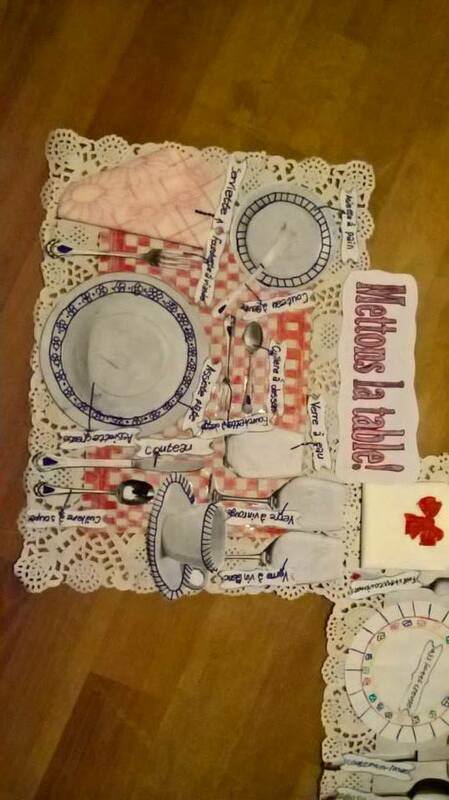 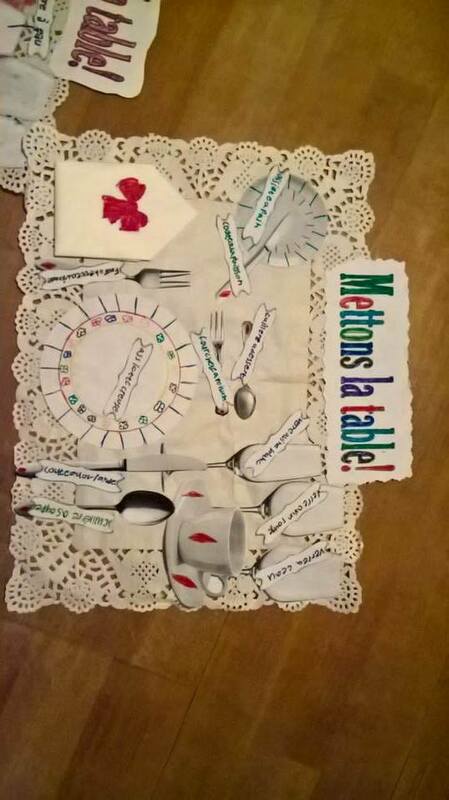 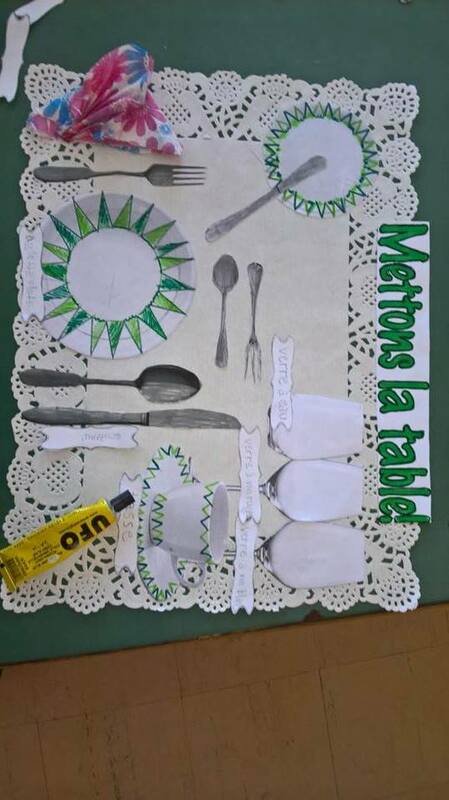 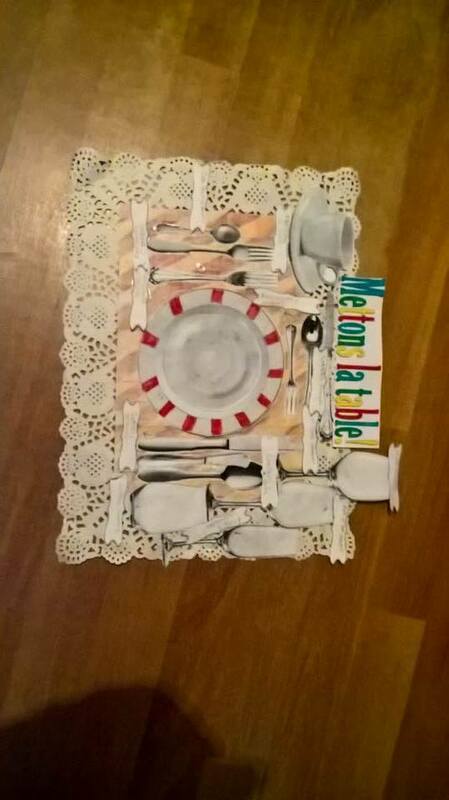 You can use this small project to teach vocabulary related to the dinner table. 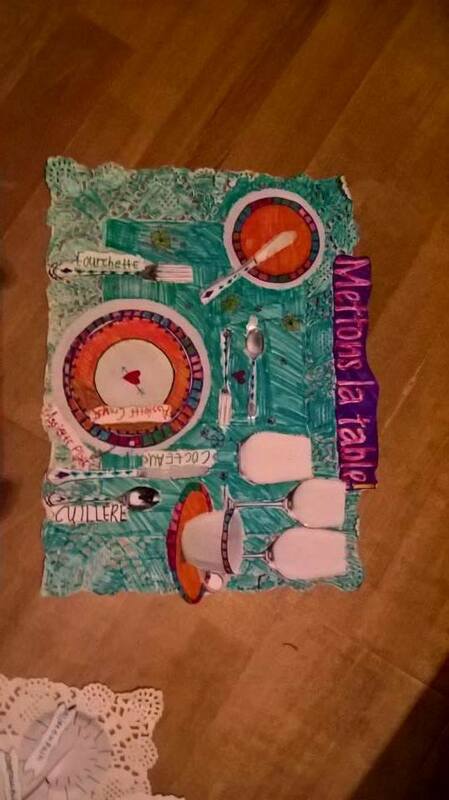 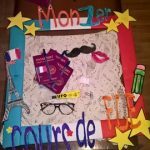 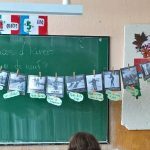 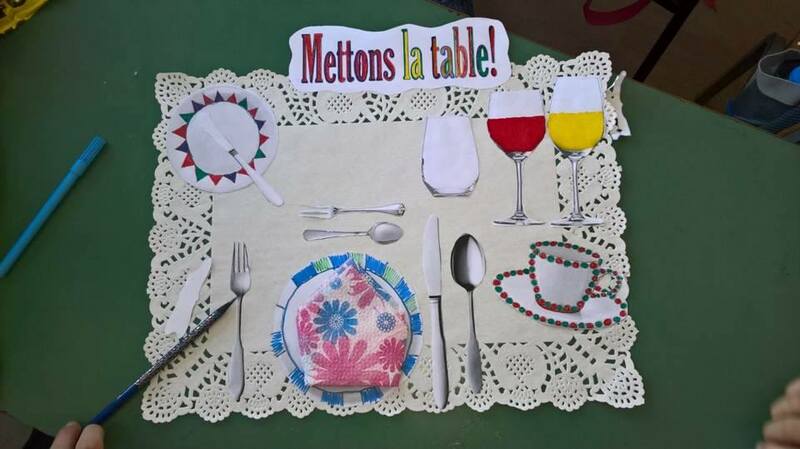 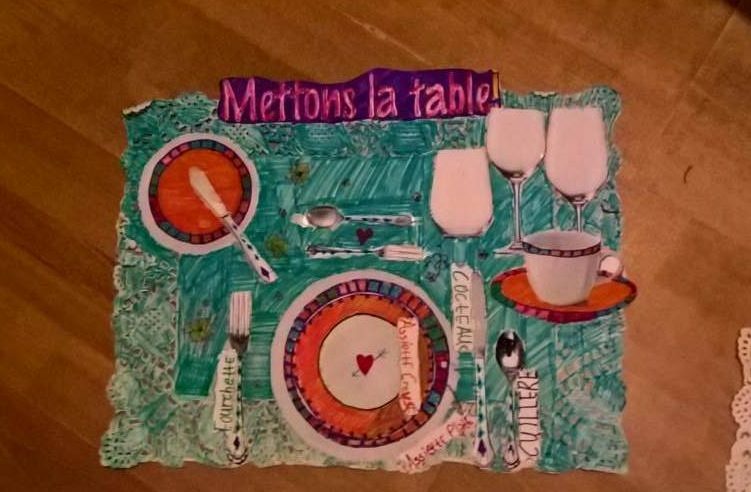 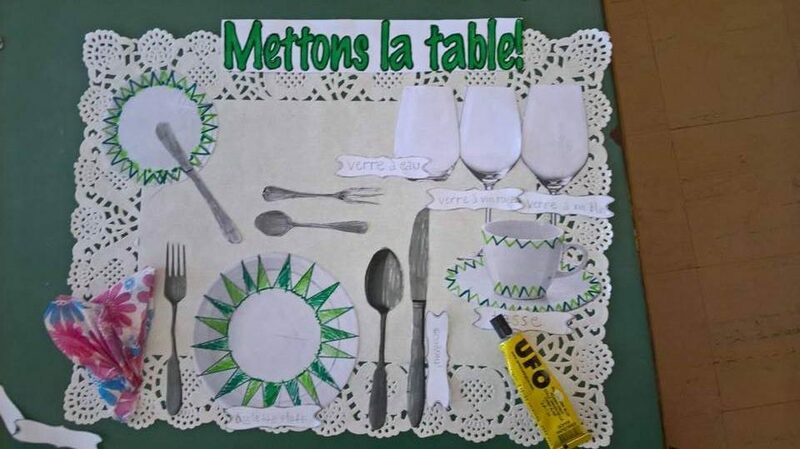 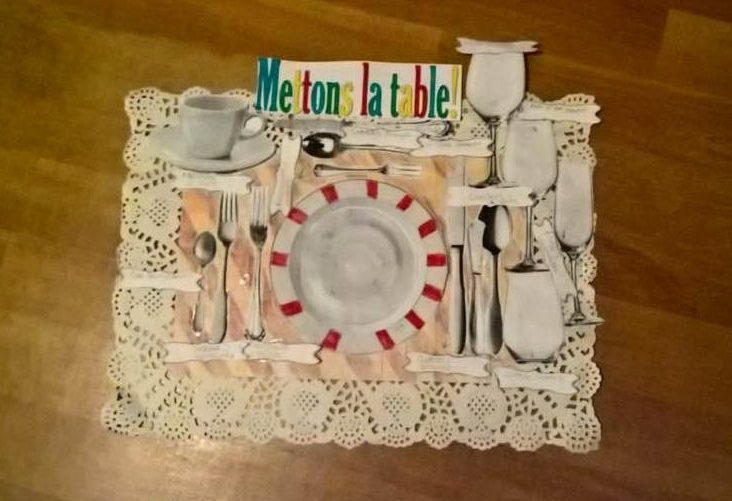 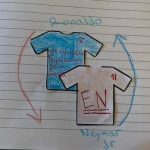 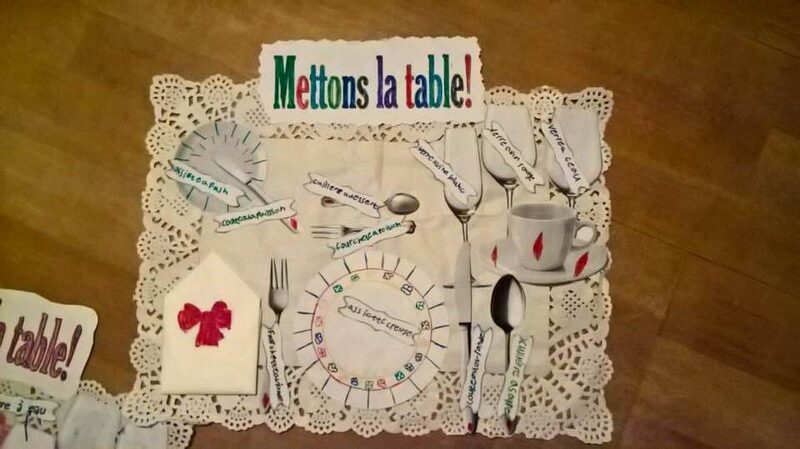 Let your students take turns trying to set the table using the worksheets (of cutting out pictures of cutlery and glassware) you have prepared. 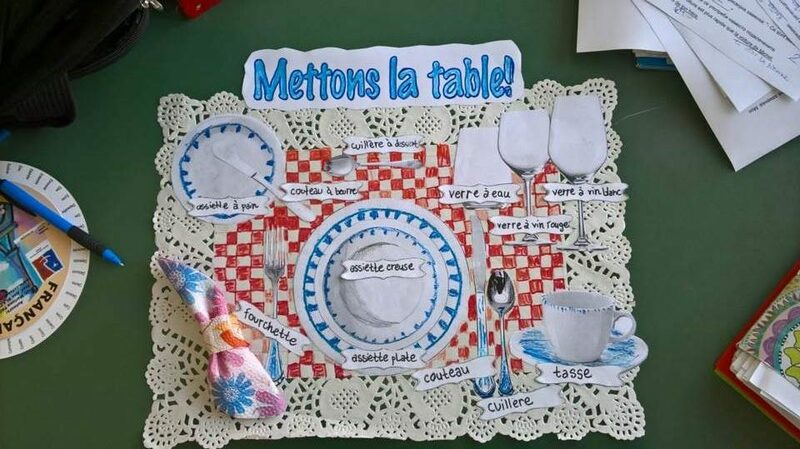 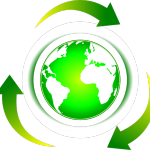 You can also practice the prepositions of place. 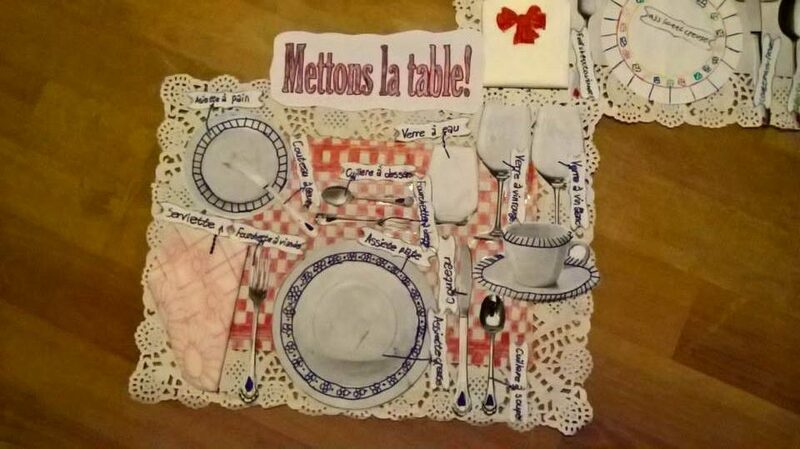 Have your students label the pieces before they decorate their place mat and dishes.